Many people dream of having a bigger home. You’ll even hear people complain about their tiny New York City apartments that are costing them a fortune. But in some places around the world, housing space can be super tiny. 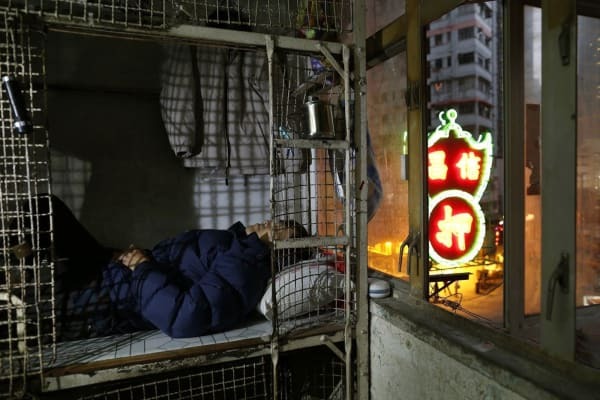 You wouldn’t believe the tight and cramped spaces some people are living in. Some of the 10 apartments we’re about to show you are even smaller than a jail cell. We’ve seen tinier but for the price this person is paying, it’s pretty ridiculous. 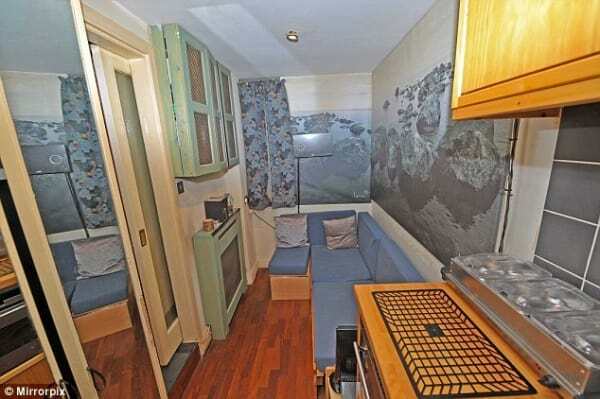 This 90-square-foot apartment in Manhattan costs $700 per month to rent. Felice Cohen says it sucked not having a kitchen or a couch but she was happy in her small space. 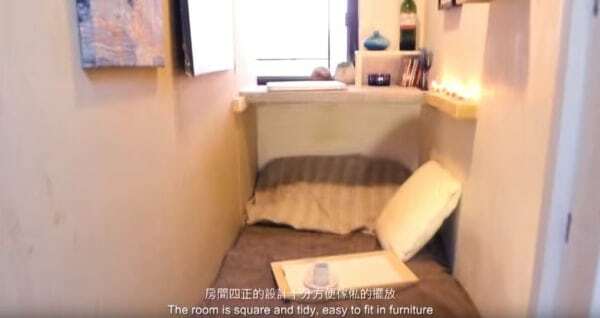 Space is so limited in places like Hong Kong that they offer something called a “microunit.” It is a whopping 4-square-foot space with a cage that costs $167 a month to rent. Leung Cho-yin told the New York Daily News that his space is riddled with bedbugs that constantly bite him. The people who share these micro spaces wash their clothes in a communal bucket and share a two-stall bathroom. Their kitchen consists of a sink. It’s basically a legal slum. 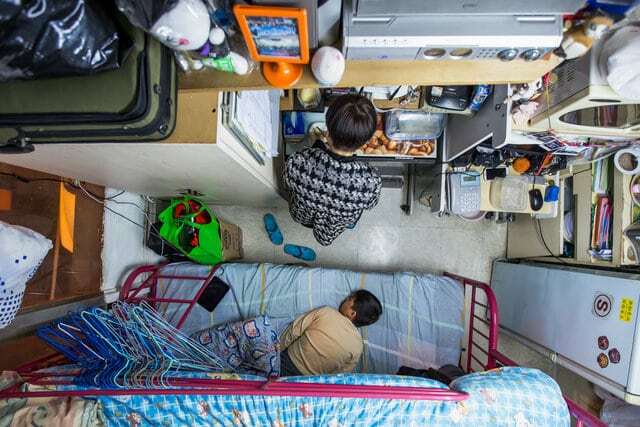 This apartment is still smaller than the average prison cell. But it costs $384 per month to live in. This closet-sized “apartments” do have wireless internet, air conditioning, and sometimes a window. This apartment used to be a broom closet. This apartment fits a convertible sofa bed, some kitchen space, and a bathroom that has a toilet, shower, and closet. The apartment is located near Harrods in Knightsbridge and is estimated to be worth about $264,000, according to Daily Mail. 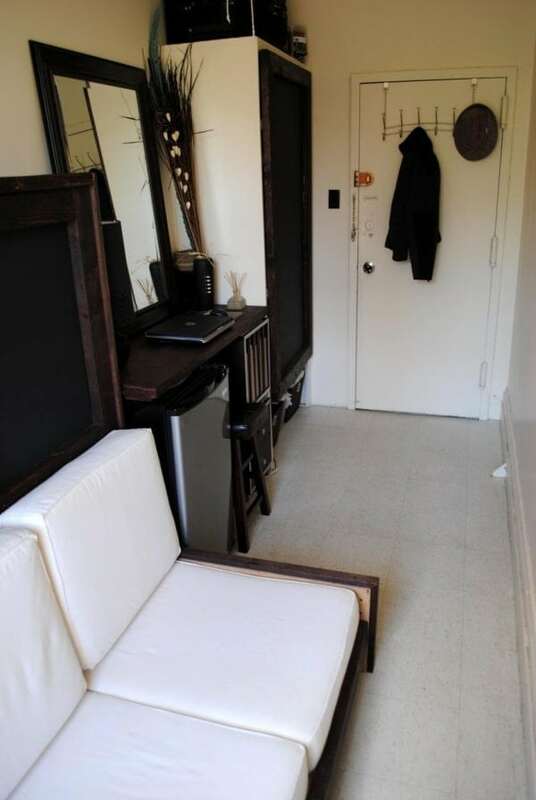 This apartment, which is the size of an entryway to a home, costs $800 a month to rent. This is all you get with this apartment, enough space for a sofa bed, a large closet, mini-fridge and a desk with a mirror. Three similar apartments in the building share a bathroom and a kitchen. The renter has to think carefully about everything he buys since it means he will have to get rid of something else. This apartment was formerly a maid’s quarters. The cabinets swing out to reveal things like a table for two, desk space, and stairs that lead to a bed. It also has roof access for when residents feel a little claustrophobic. 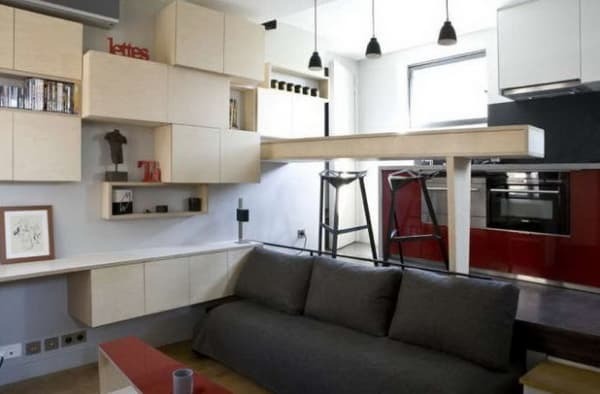 While 170-square-feet isn’t much space, this apartment actually has two floors. This space also has a “Swiss Army Knife” design with beds, stairs, and storage that fold out. The design makes the space seem a lot bigger. This is a truly brilliant use of space. It has a small space for a coffee machine, a refrigerator, and meal prep. The loft bed is located above the bathroom which has a toilet/ shower combination. A bicycle is mounted on the wall for easy transportation. There’s also a desk, a dresser, and a hammock for relaxing. This is a tight space for two people but a mother and son live in this 60-square-foot apartment. The cost to live in such an apartment: $487 a month. It fits a bunk bed, refrigerator and food prep area. 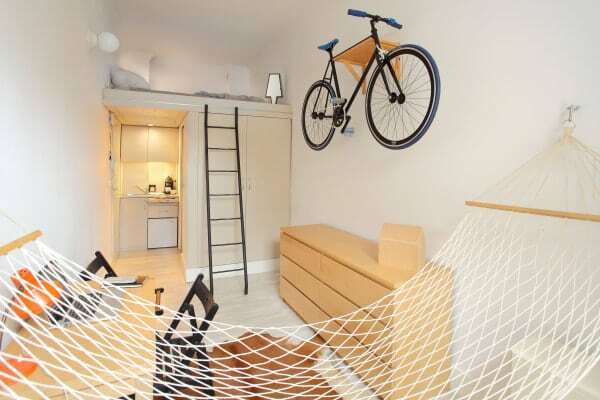 Every inch of space is used in this apartment. 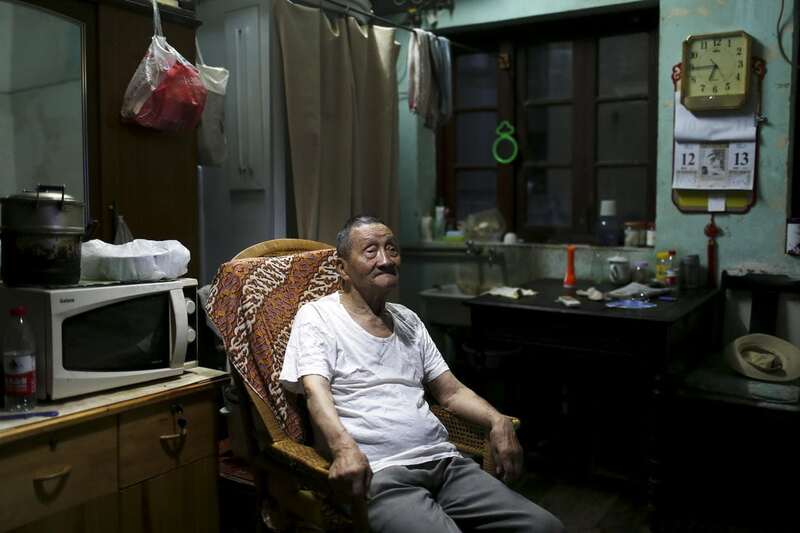 This small space is home to Wang Cunchun and his 60-year-old son. The 90-year-old and his son both live in just 107-square-feet of space. This home has a food prep area and room for a desk and sitting chair.